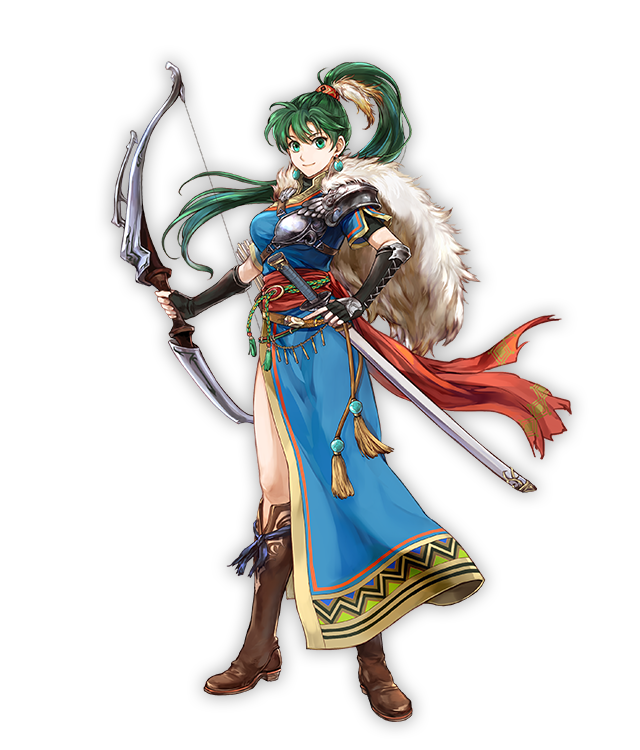 Hailing from the plains of Sacae, Lyn is the daughter of Hassar, the leader of the nomadic Lorca tribe. 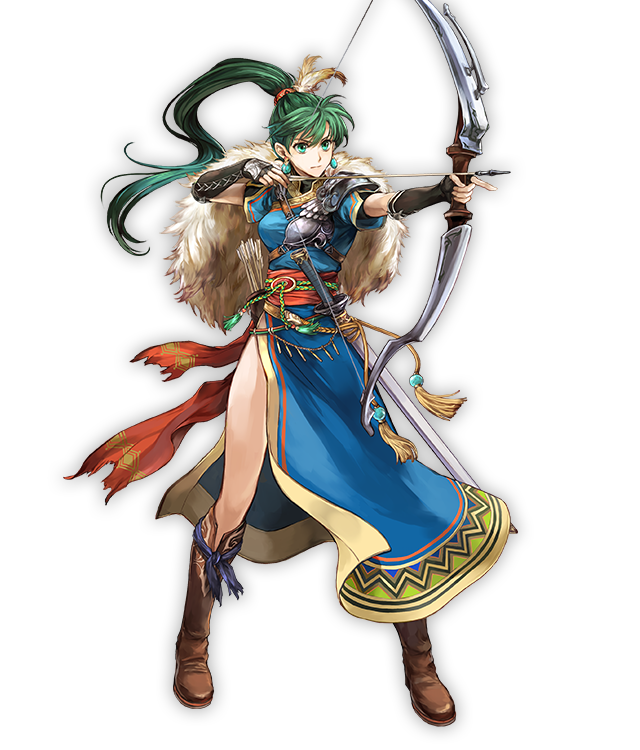 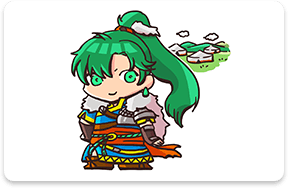 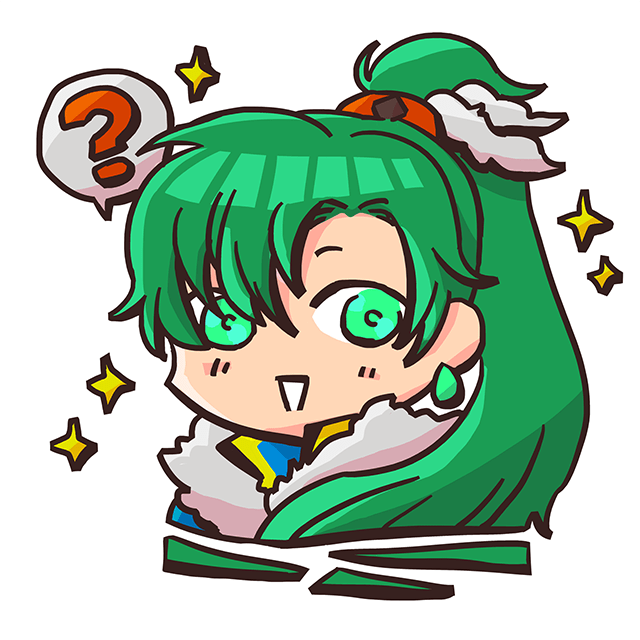 Her real name, however, is Lyndis. 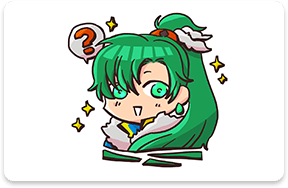 It turns out that her mother was a noblewoman of Caelin, and Lyn was her successor! 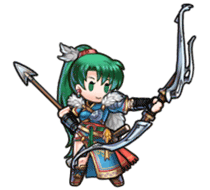 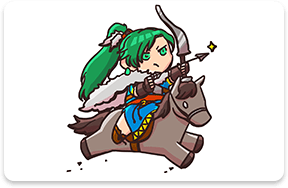 The Lorca are talented riders who are skilled in the use of both the sword and the bow, and Lyn is certainly no slouch there! 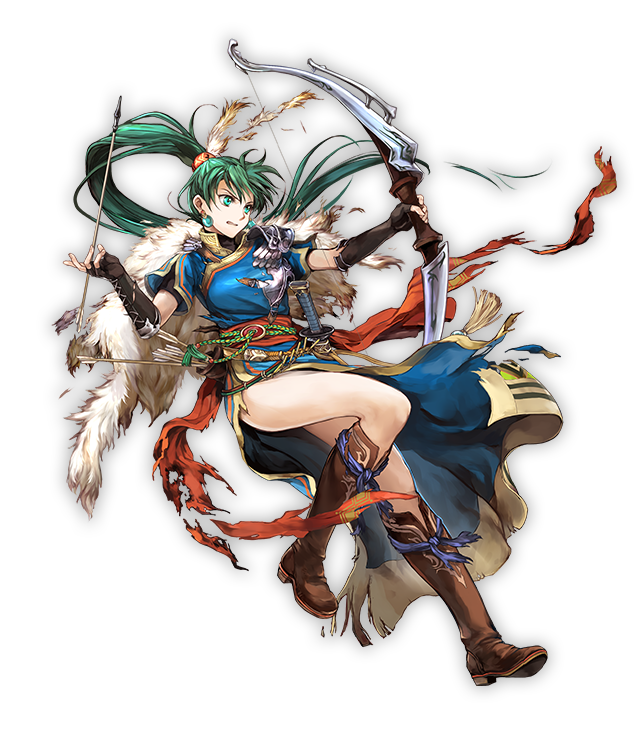 When it comes to archery, she never misses her target. 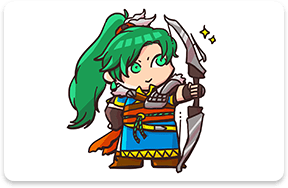 Lyn wields the divine bow Mulagir in battle. 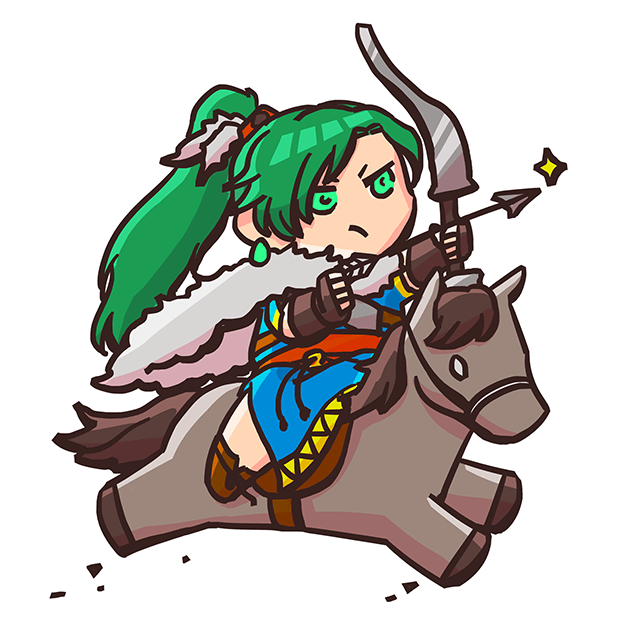 As a Legendary Hero, I’m sure we can expect a lot from her! 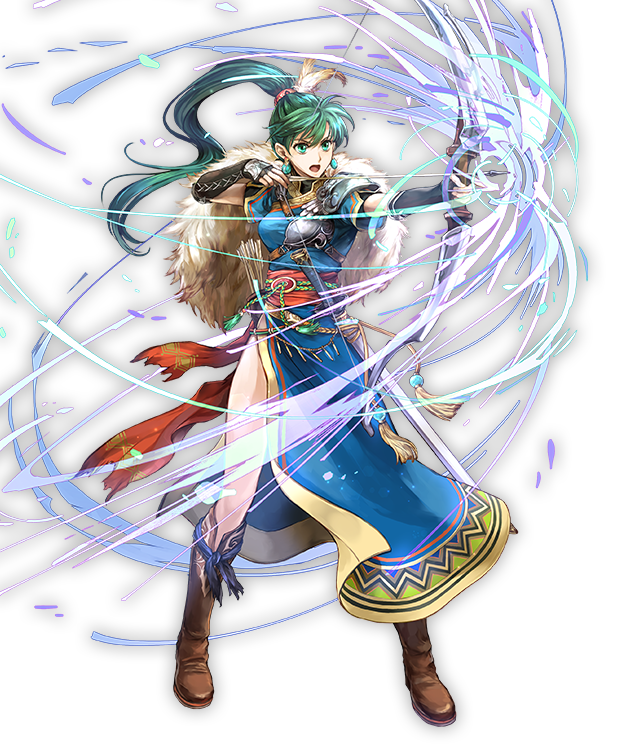 A noble of Pherae and a member of the fellowship he formed together with Hector and Lyn. 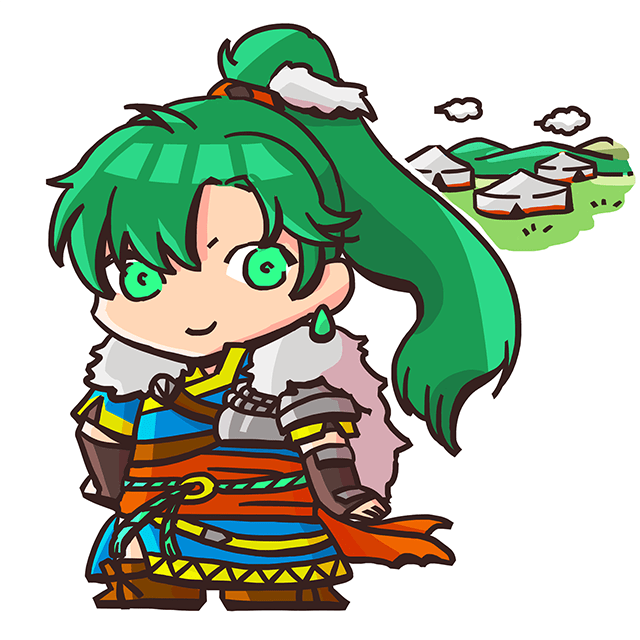 A true and just lord who has earned the faith of his subjects. 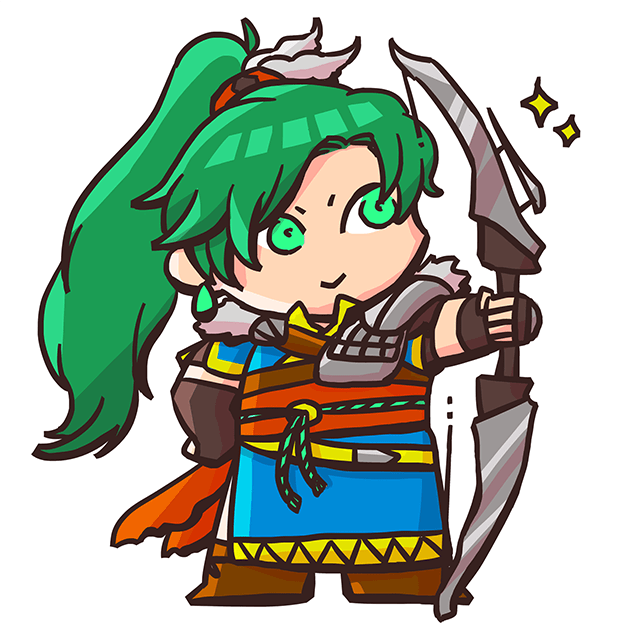 The marquess of Ostia and the third member of the fellowship.